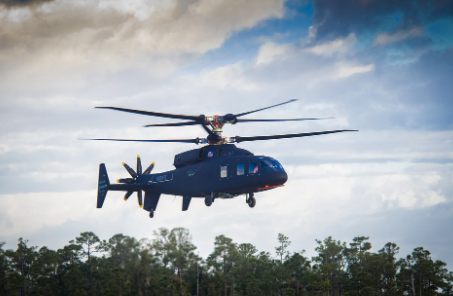 The Sikorsky-Boeing SB-1 Defiant coaxial helicopter completed its first round of flight tests early Thursday morning (March 21) at Sikorsky's West Palm Beach, Florida location. This advanced aircraft, developed by Sikorsky and Boeing, will be submitted to the U.S. Army's Future Long Range Assault Aircraft program. 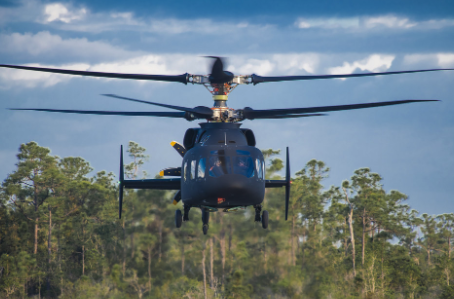 "Defiant is designed to fly at nearly twice the speed and has twice the range of conventional helicopters while retaining the very best, if not better low-speed and hover performance of conventional helicopters," said Dan Spoor, vice president, Sikorsky Future Vertical Lift." "This design provides for exceptional performance in the objective area, where potential enemy activity places a premium on maneuverability, survivability and flexibility. We are thrilled with the results of today's flight and look forward to an exciting flight test program," Spoor added. With its two coaxial main rotors and rear-mounted pusher propulsion system, Defiant is a new bread of aircraft that could replace the Army's convention helicopters. The Sikorsky-Boeing team has encountered several delays related to manufacturing difficulties of the aircraft's blades. The original test flight was scheduled for 4Q18 but engineers discovered a series of issues while testing the power-train system. Before Defiant could fly, the team was required to rigorously test the aircraft for 15 hours on the ground. The helicopter took off at 7:47 a.m. and flew for more than 30 minutes on Thursday. Defense News said the aircraft performed low-speed maneuvers and hovered around Sikorsky's West Palm Beach location. "Today’s flight was a tremendous success and a culmination of a lot of work by the men and women of the Sikorsky-Boeing team DEFIANT team," the Sikorsky-Boeing team told Defense News. "So much credit goes to their tireless efforts to get us to where we are today." The team also said they were "very pleased" with the first test flight and will further examine the flight data next week and prepare for more tests in the near term. 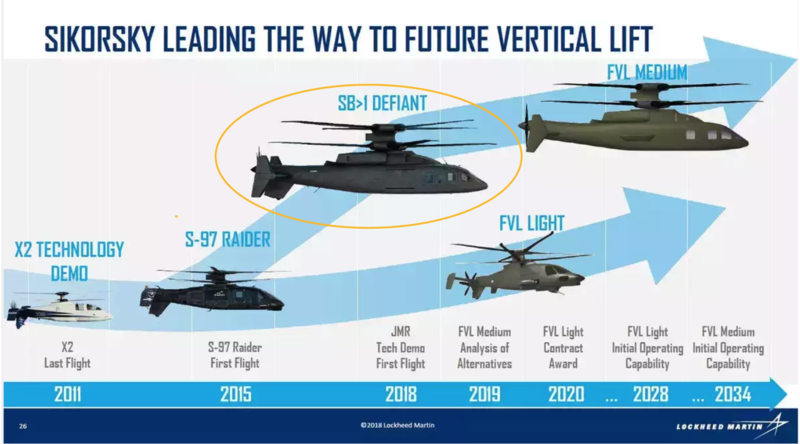 Data from Defiant will allow the Sikorsky-Boeing team to tweak the aircraft to meet the Army's requirements for a new utility helicopter expected to enter service in the next ten years.